It was very windy and a little cold last Monday, felt almost like a cold front was coming in. I limp along in the garden due to a golf ball sized bruise swelling on my right shin. Why? Tripped on a cement block in the garden while looking up when I should have been looking down. Despite the wind, it was a very nice day. It was sunny and staying inside to nurse my shin would have been a waste of a perfect day. I dug up, replanted and pruned plants in the garden and whatever needed to be done without heavy lifting. 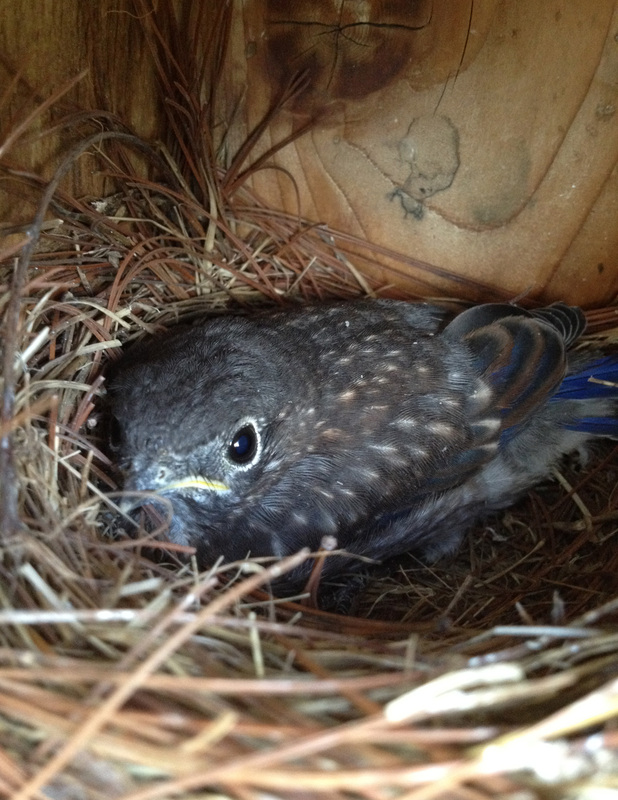 In the middle of all these tasks, I heard the Bluebirds call too many times above my head. I realized that the parents were encouraging a baby to fly by calling it from different branches. I looked up and found one of the chicks perched quietly on a birch branch near by. He flew from branch to branch following the calls. 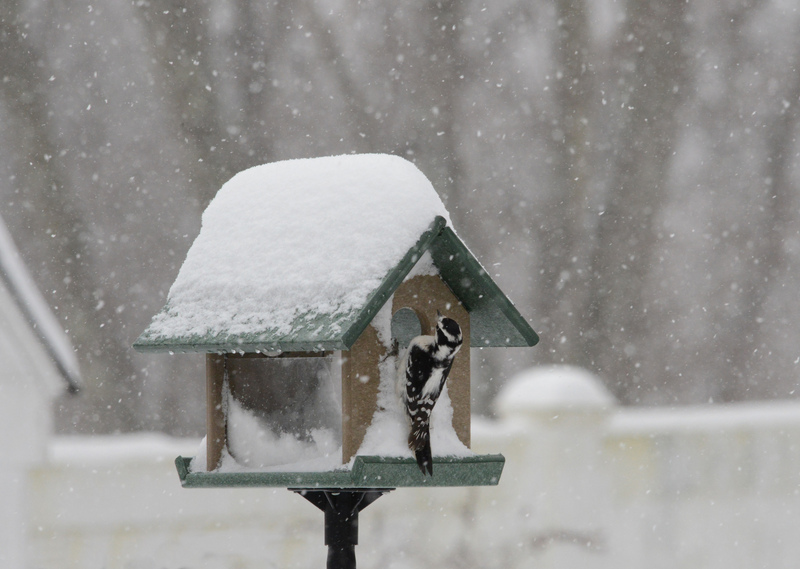 The peacefulness turned frantic when a Blue Jay showed up. Both parents bombarded the Jay nonstop until it gave up and flew away. 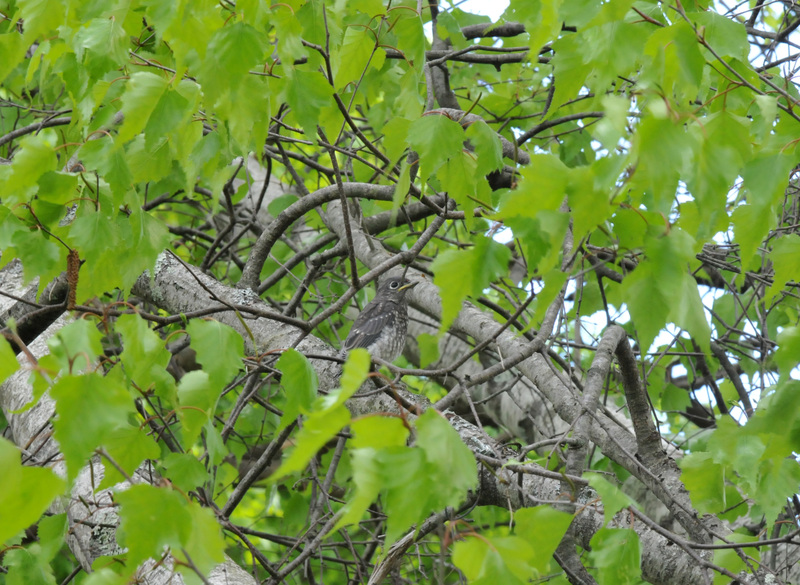 Interestingly, the parents ignored a Gray Catbird completely even when it got within a few inches of the chick. 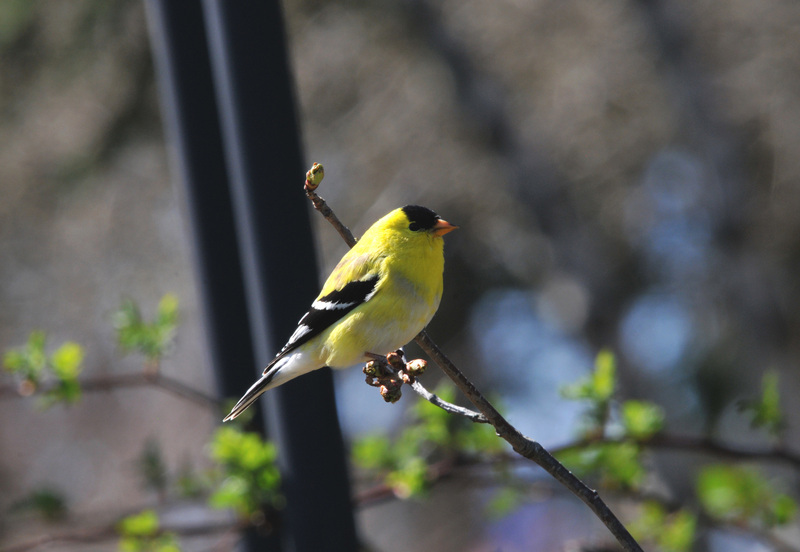 They chased off the Blue Jays, Grackles and House Sparrows. About this time, another chick poked his face out from the nest box and I realized there probably was one or more chicks still in there. 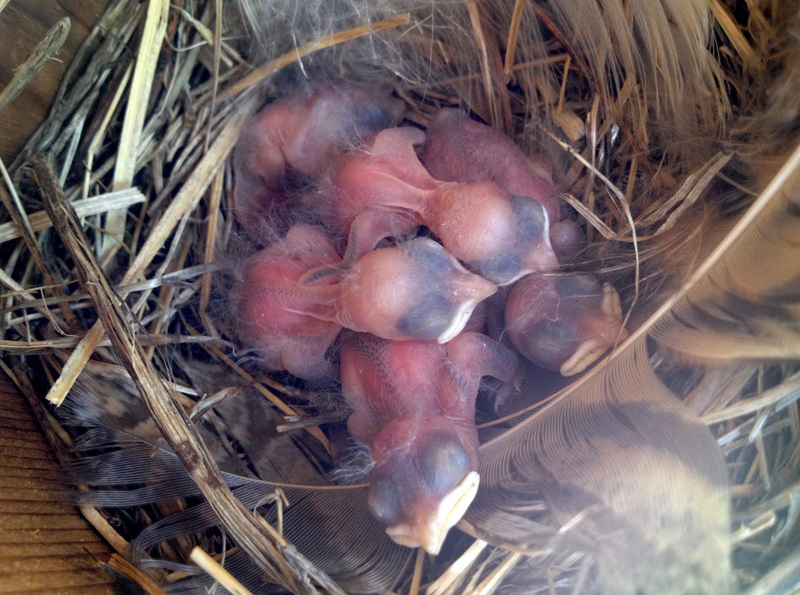 I waited until the parents were busy leading the lone chick to safety to open up the nest box and snap some photos. 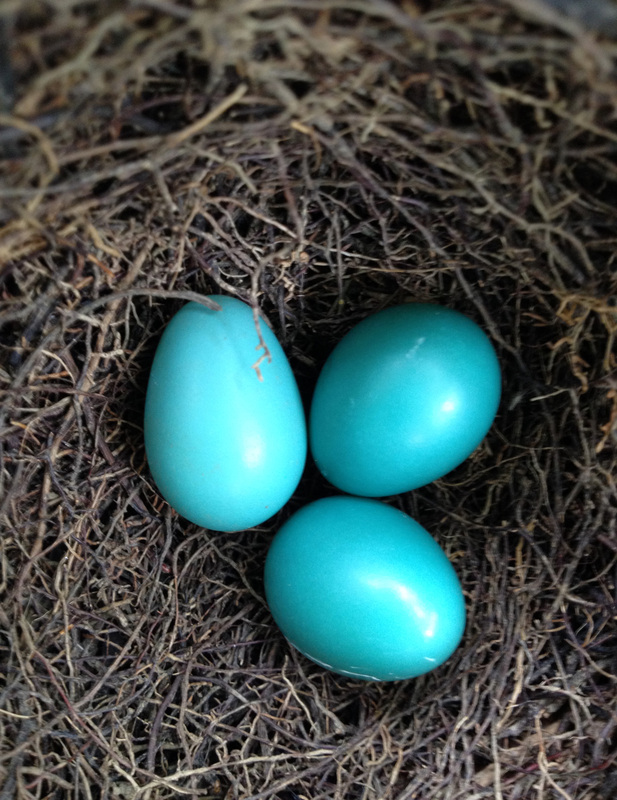 This is when I love my iPhone the best, fast and easy to snap an image in a nest. The chicks have all hit the road now. 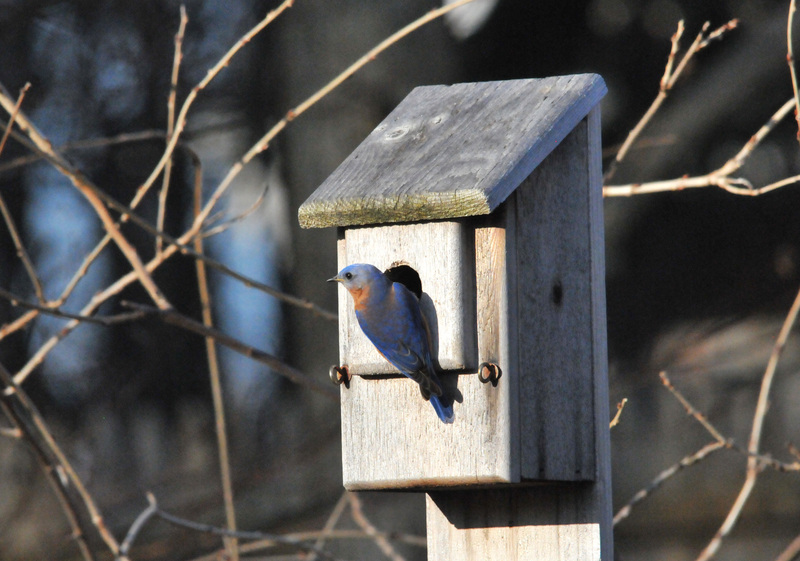 But I’m happy to help increase the local population of Eastern Bluebirds. 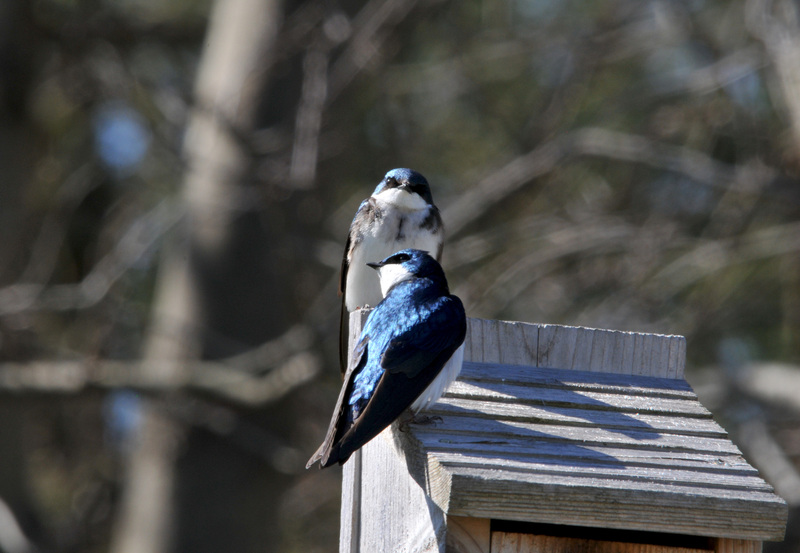 I’ve been hearing their calls again and have seen four other Bluebirds snooping around the Tree Swallow house. Hopefully they will rear another brood in the garden this year. 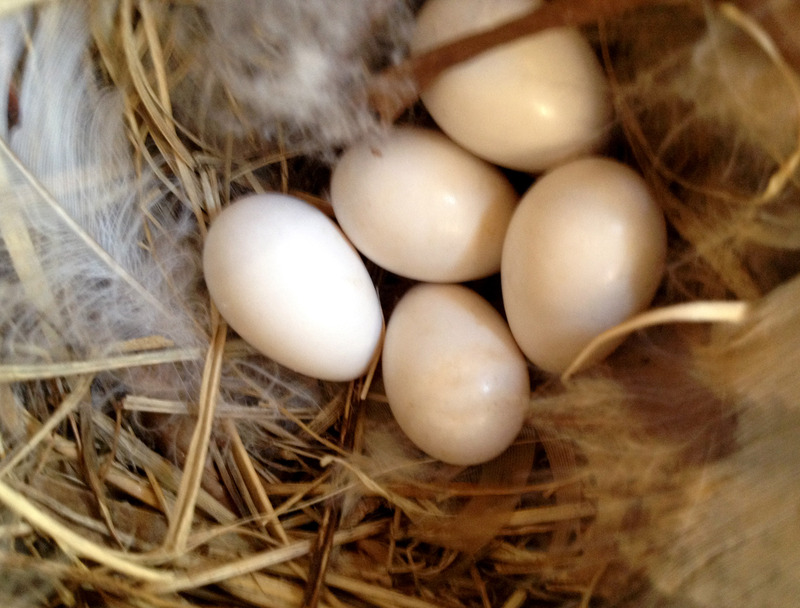 The Tree Swallow family by the vegetable garden added one more egg to the nest, five in total. But this morning I found the evidence that someone had raided their nest (the white down and some grass straw were on the ground) but the female was still in the nest when I checked. I’ll know more when I’m able to check on them this weekend. 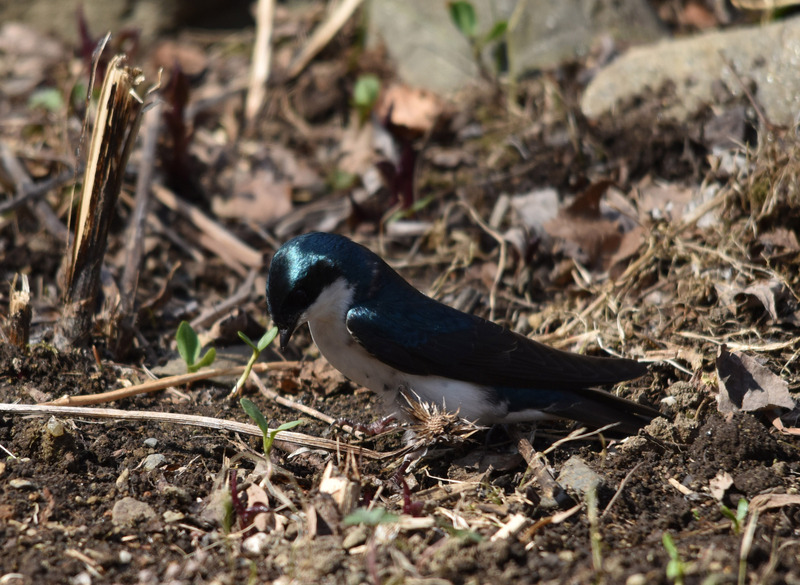 The usual visitors to our garden in the past few years just came back…the Tree Swallows (Tachycineta bicolor). We heard their unique gargle-like chirp up in the sky a few days ago. Four of them. 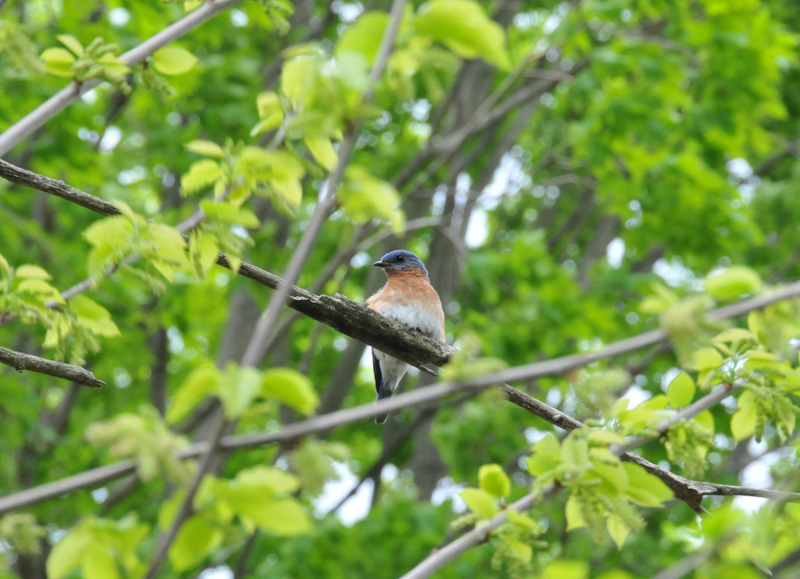 Yesterday they were chased off by the Eastern Bluebird (Sialia sialis) couple that have been checking the bird houses in our garden. They have narrowed it down to two favorites, but haven’t settled yet. So, anytime any birds get on one of the houses they like, they will swoop down and chase them off. 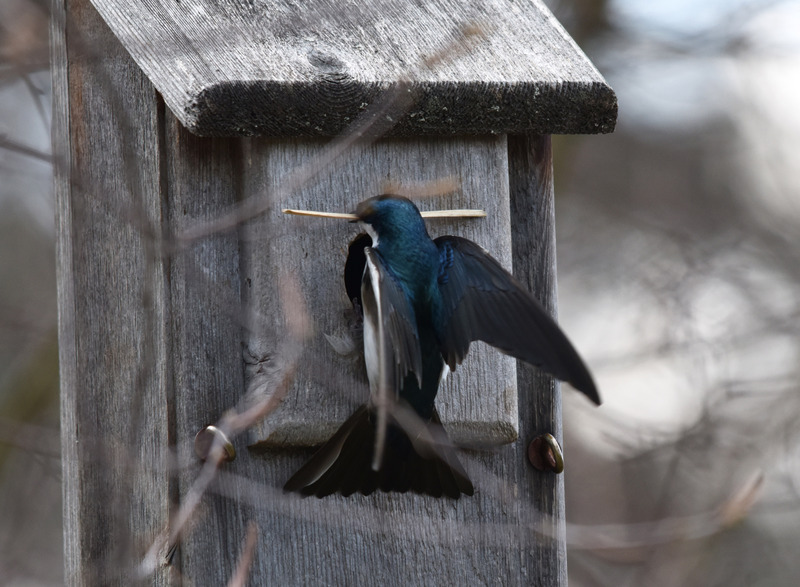 This applies to the Tree Swallows as well. 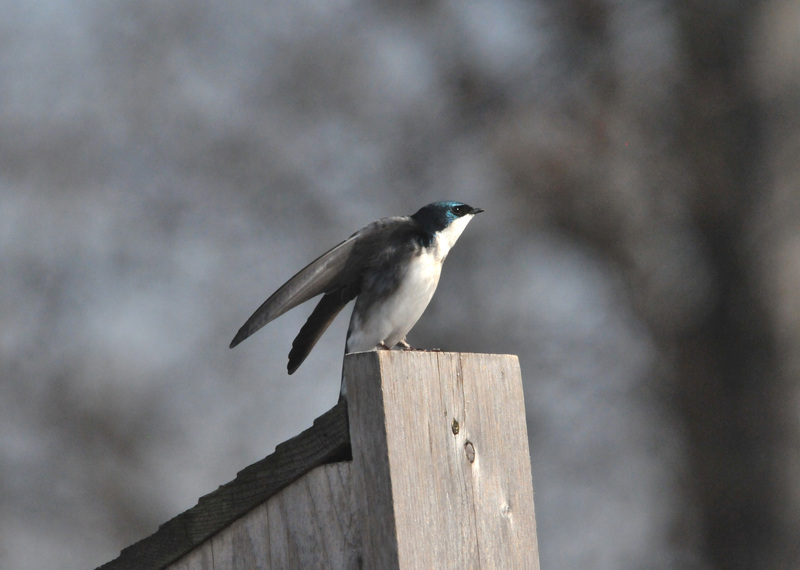 A swallow stretching on the house at the vegetable garden. The Swallows came back to their same old house that they have been nesting in for the last few years. I think this time they came back with their kids since they seemed to be interested in two houses. 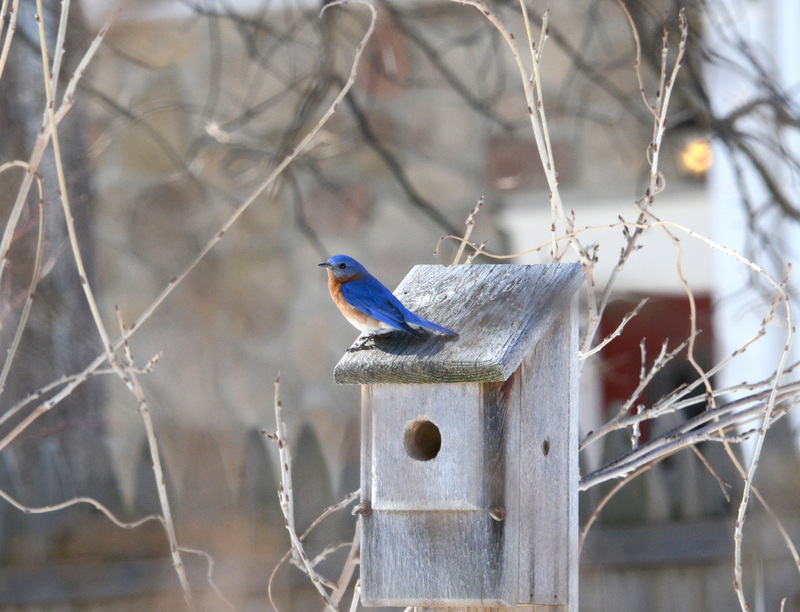 They happen to be the two houses that the Bluebirds like. But the Bluebirds arrived first, so there is some territorial dispute between them. Now what? We love them both. One is metallic blue, one is sky blue. One eats insects high up in the sky, one catches bugs lower and on the ground. If one were House Sparrows, life would be simpler as we have no problem raiding their houses. They are about the only bird not wanted. 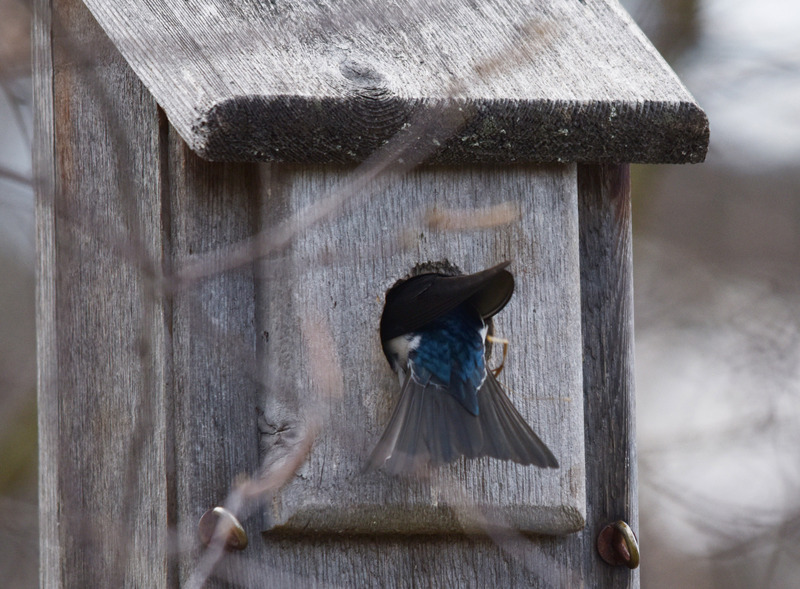 I just have one little reservation about the Swallows nesting in the box in the vegetable garden. I would have a tough time tending our vegetables if they did. 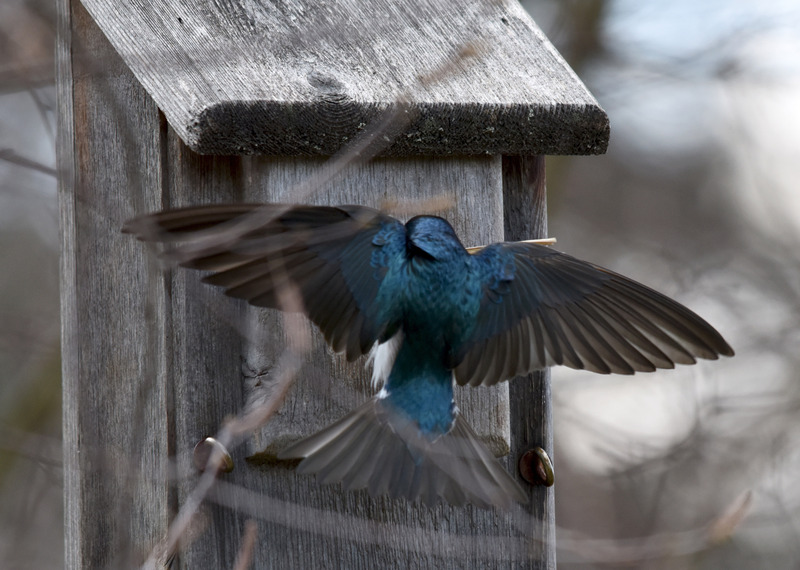 They dive bomb me every time I get too close to their house after they have laid eggs. I hope they settle down soon so I can start counting how many families we’ll raise this year. 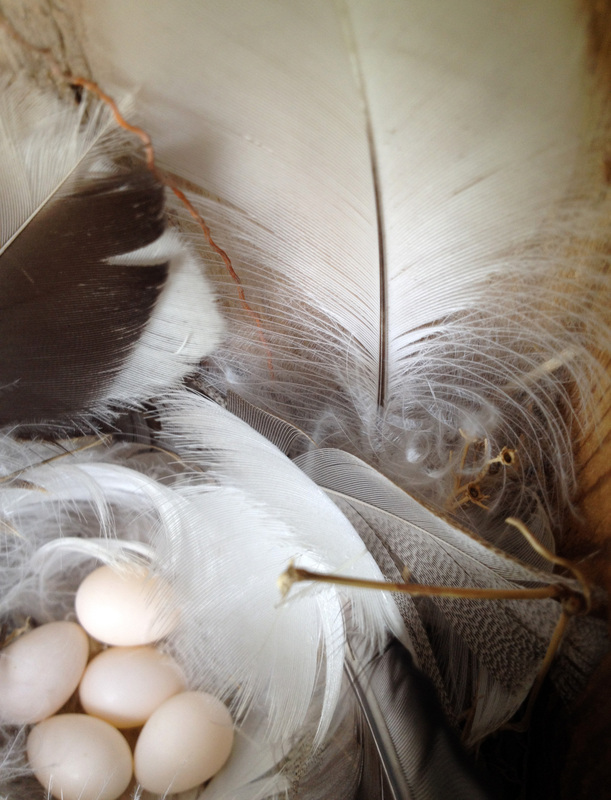 Just a little sense of accomplishment and great joy to know that we helped raise a few generations of some of the more embattled and beautiful indigenous bird families. 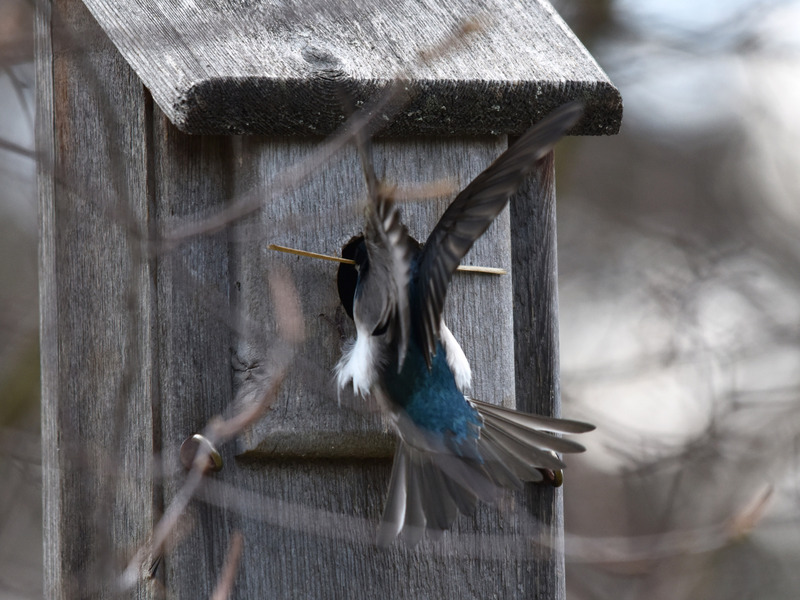 Nothing like watching them building their nest, laying their eggs, raising their young and their young learning to fly. 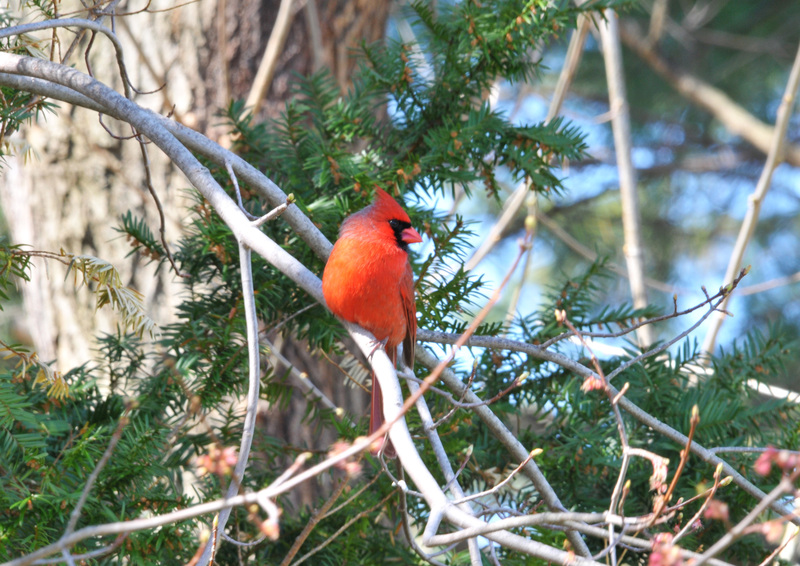 We are happy to see more and more of the ones that live with us year round like the Northern Cardinal, woodpeckers and Chickadees. 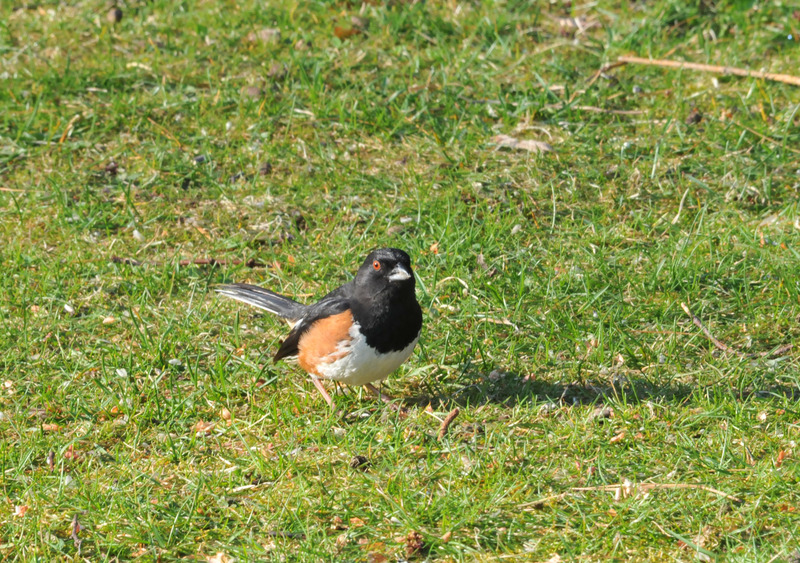 It’s nice to see the migrating families come back every year and to watch the brood expand with each spring.